SCROLL DOWN FOR UPDATES, PICTURES, VIDEOS, THE FIRST EPISODE OF "HOW IT'S MADE - THE LOST WAX CASTING PROCESS" AND MORE!! I'm honored to be able to share with you a few of my thoughts this new month of February already and this new year, 2017. My entire 40 year career of creating sculpture has been centered on one theme - LIFTING THE HUMAN SPIRIT THROUGH SCULPTURE. Many years ago I presented Tony Robbins on stage, one of my sculptures. It was during a workshop with Tony and Jay Abraham later that year, that I officially adopted the mantra - LIFTING THE HUMAN SPIRIT THROUGH SCULPTURE. I've always derived inspiration from from others. In conjunction with that I decided to bring these inspirational leaders 'down to earth' so to speak, and sculpt them as the real people that they were. Thus the life-size bronze bench series 'The Great Contributors' was born. To my delight it has been received world-wide with great success. My sculpture of Mark Twain began the series and my latest was the Wright Brothers. I've sculpted eight highly recognized MEN - now it's time for me as a sculptor to do justice to the great WOMEN leaders of humanity. My first choice is Mother Teresa. Here is a pic of my working study of Mother Teresa. 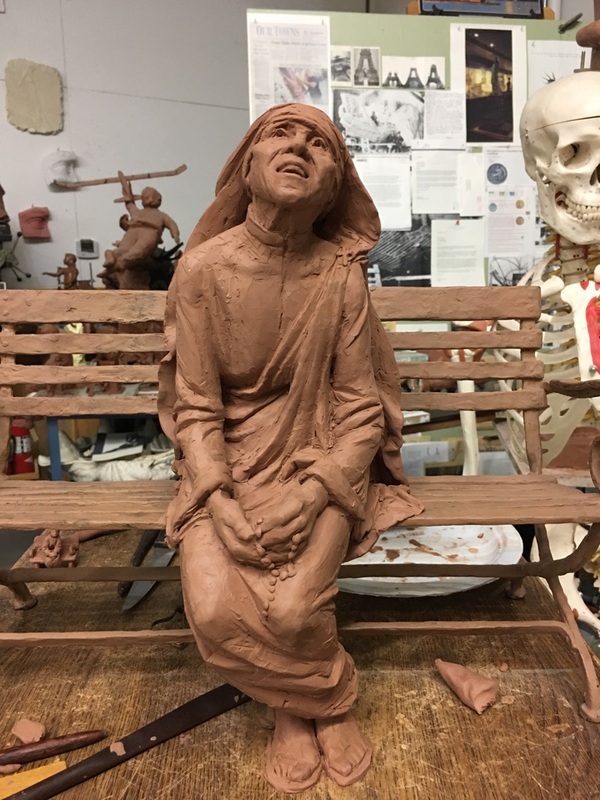 I'm depicting her on the edge of the bench, ready to leap back up into action - but nevertheless in momentary repose, to gather her thoughts and strength from 'On High' - and taking just enough time for the viewer to sit with this Saint and chat and gain inspiration and insight. Insight on the most important message of our planet and universe - the message of unconditional love. It will be fun to see where the finished bronze edition finds their homes and friends. We are VERY excited this year to do a "How It's Made" series on the Lost Wax method of casting. 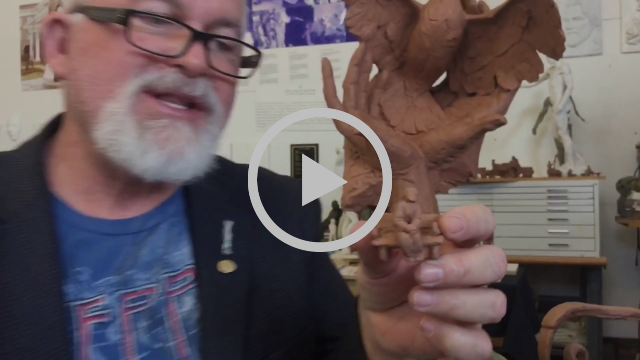 We will break up the process in pieces so that every month you get to see the next step and how we do it here at Gary Lee Price Studios/Alchemy Arts! Lost-wax casting (also called "investment casting", "precision casting", or cire perdue in French) is the process by which a duplicate metal sculpture (often silver, gold, brass or bronze) is cast from an original sculpture. The oldest known examples of this technique are the objects discovered in the Cave of the Treasure (Nahal Mishmar) hoard in southern Israel, and which belong to the Chalcolithic period (4500–3500 BC). Conservative estimates (based upon carbon dating) place the items about 3700 BC, making them more than 5700 years old. 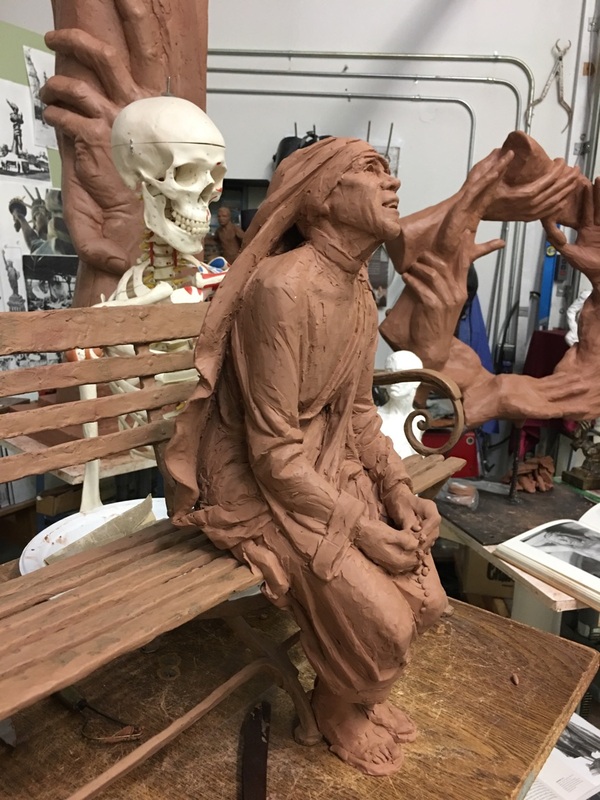 Though the process today varies from foundry to foundry, the steps used in casting small bronze sculptures are fairly standardized and largely the same process (in modern industrial use, the process is called investment casting). Lost-wax casting was widespread in Europe until the 18th century, when a piece-moulding process came to predominate. Our new map tool is coming along nicely!! Thank you to all of you who have contributed and sent photo's of your personal and/or publicly installed pieces! We have enjoyed seeing these photos and getting them added to the website as a "map location." For those of you who are unfamiliar, click here to visit this interactive map - It's SUPER COOL! 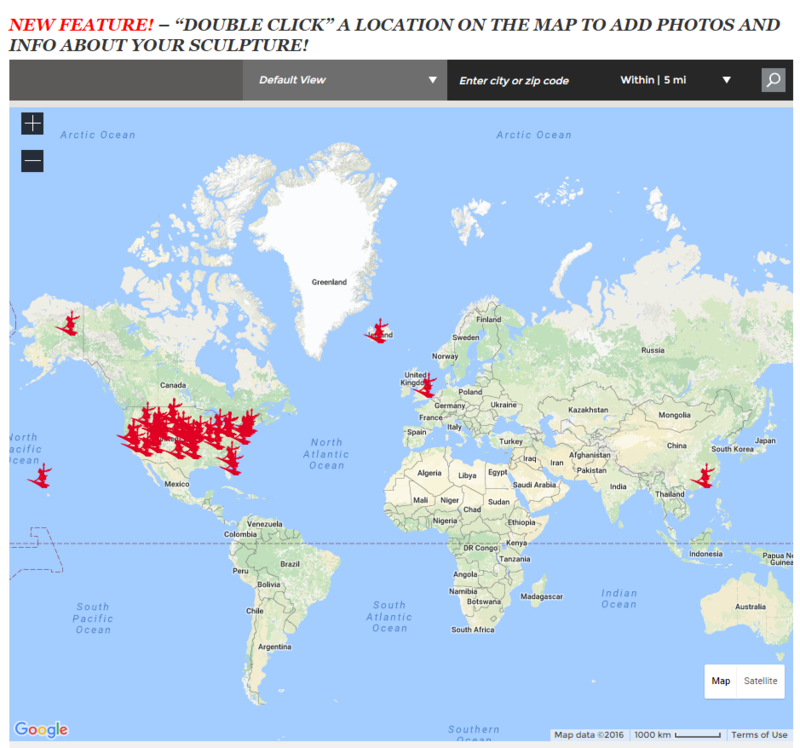 You can search the globe by country, city, area code, or even a drop down list of statue titles and see where they pop up! Is your statue on there? If it's not or if any info is incomplete or incorrect, call or email us and we will get you added! As a thank you, we will send you 2 "Synergy" lapel-pins (sculpted by Gary) - one for you and one for a friend! 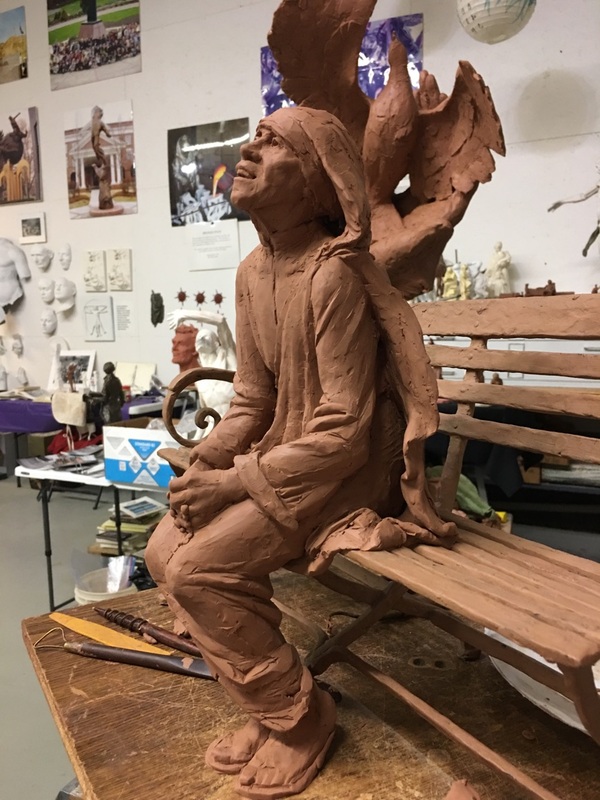 We have been selected this year to be a part of the National Sculpture Society's "A Blessing of Animals" show which will be on display at the Cathedral of St John the Divine in Manhattan (starting in June), and will then move to the Naples Botanical Garden in Naples, FL. We will be featuring “Circle of Friends” which portrays 7 animals representing the 7 continents holding hands and dancing in a circle. What a fun show this will be! 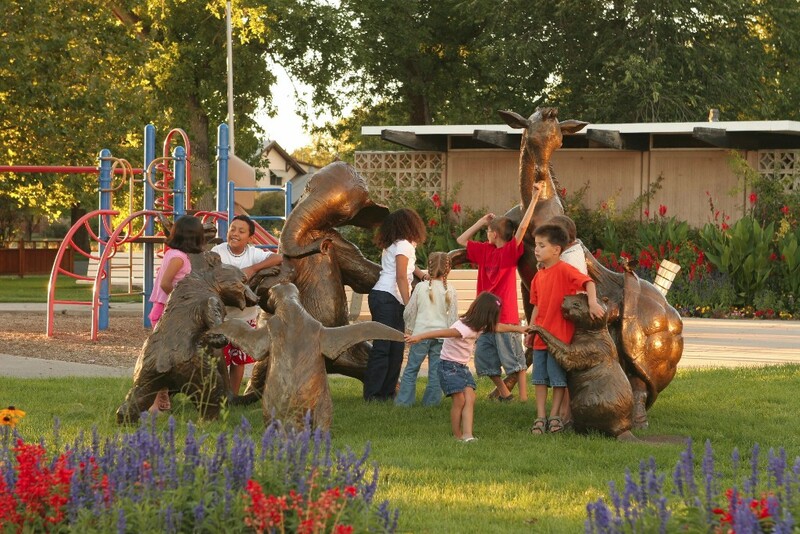 Can't you just see this sculpture displayed at Zoo's across our country? Thank you all for tuning in again! We are having such a blast this year and are excited to keep sharing it with you via this newsletter. Next month we will start an official "Statue Giveaway" where we will be giving away 1 free statue to one of YOU - EACH MONTH!! We can't wait! Copyright © 2017 Gary Price Studios, Inc., All rights reserved.